With the long, hot days of summer upon us, plenty of budding entrepreneurs begin to dream of working out of the office, out on the open road. How can someone balance a roving heart and a small business? Open a food truck! Downtown at the Hill, we have plenty of food trucks surrounding Rice Park, but finding the right research to get one started can be a challenge. Save your energy for preparing delicious food and head to the Hill for all your research needs. You can find a full industry report on food trucks in our IBISWorld database. Get a sense of food truck trends, national regulations, and a five year forecast. Curious whether you should specialize in Mexican cuisine or Peruvian fare? Look at product and service segmentation within the industry for a sense of market concentration at the U.S. level. IBISWorld can also discuss consumer expectations so you know if your customers will expect organic produce or biodegradable plates. By understanding the industry at the national level, you’ll be able to anticipate and prepare for new trends, understand the field’s influencing factors, and fulfill regulatory requirements, letting you concentrate on your recipes. 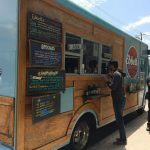 Interested in reading profiles on successful food truck? Use Business Source Premier to find local newspaper and magazine articles on other trucks. Keyword searching in Business Source Premier will instantly search thousands of trade journals, magazines, and product reviews in addition to publications like Forbes and Fortune. Looking up “Food Trucks” and “Minnesota” will yield articles on award-winning food trucks, truck design, unconventional menu trends, and beyond. This is a fantastic resource to investigate the latest news in the industry while getting in-depth interview from food truck owners on the secrets to their success. Curious about these resources? Want to know what else the Hill has to offer? Schedule an appointment at jjhill.org to speak with us about everything the Hill can do to support your dreams. Nine out of 10 startups fail. That’s a hard truth of being an entrepreneur. 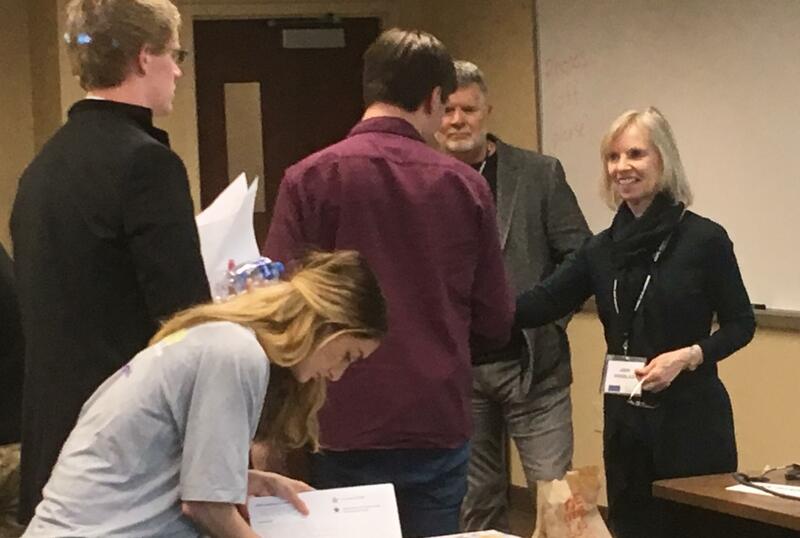 Some of that is just plain luck, said Silicon Valley investor Ann Winblad during a workshop at e-Fest Entrepreneurship Challenge at the University of St. Thomas’ Schulze School of Entrepreneurship on April 13. Caption/credit: Ann Winblad, right, meets students competing in e-Fest at the University of St. Thomas on April 13. Photo by Katie Moritz. In San Francisco, where Winblad has built a successful venture capital firm that funds innovations in software, Hummer Winblad Venture Partners, an entrepreneur failing means they’re one step closer to succeeding. A lot of them bounce back and get on to the next idea. 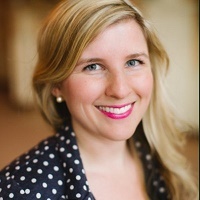 In her role as a partner at the firm, Winblad “(auditions) the future every day,” she said. Assembling the wrong people to work on your dream can spell failure, Winblad said. That might mean you have to have some tough conversations early on with people who are likely your friends. But if you really want your project to succeed, you need the right people in the right jobs. Caption/credit: Your founding team should write down as many as 10 assumptions about what your company will do. Quarterly, revisit and revise those assumptions. Venture capitalists invest in companies, not products, Winblad said. When Winblad’s firm looks at teams to invest in, “some of this sounds kind of fairy-taleish, but we look for someone who has a big vision of how the future will unfold. She gave the example of Microsoft founder Bill Gates, whom she knew early on in his career. He was in love with his own big ideas, and that passion showed through to the people around him. Winblad’s firm also looks for team members who have “glass-half-full” attitudes. Positivity will buoy you through the difficulties of starting a business. “If you’re a glass-half-empty person, you’re going to meet some real challenges that are going to make you not even want to look at the glass,” Winblad said. Do your market research and develop a product or a service that customers need. When you’re pitching to investors, if you can show the need for what you’re hoping to deliver, you’re in a good position. Winblad used the example of MuleSoft, a software company her firm invested in and was recently sold to Salesforce for $6.5 billion. MuleSoft gave their product away for free at first and built up a portfolio of loyal customers. When it came time to scale up and look for more money, MuleSoft leaders were able to produce a long list of people who not only saw a need for the product, they were already using it. Another couple of founders arrived at a pitch meeting at Winblad’s firm with a long scroll that they rolled out on the board room table. When you’re starting out, brainstorm and write down as many as 10 assumptions about where your business will go. These assumptions define your business strategy. Once a quarter, you should revisit them as a group and determine if they are still true. Caption/credit: Having the wrong team and getting money at the wrong time or in the wrong amount are two common missteps of startups. “If any of them are false, huddle together and change something in your business strategy,” Winblad said. Writing down and revisiting these assumptions will help you “keep your eye on the prize,” she said. Eventually, as your business grows, the assumptions that make up your business plan will manifest into facts, Winblad said. But don’t wait until you have a list of facts to reach out for funding. 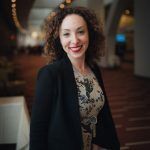 This article is part of America’s Entrepreneurs: Making it Work, a Rewire initiative made possible by the Richard M. Schulze Family Foundation and EIX, the Entrepreneur and Innovation Exchange. Katie Moritz is Rewire’s web editor and a Pisces who enjoys thrift stores, rock concerts and pho. She covered politics for a newspaper in Juneau, Alaska, before driving down to balmy Minnesota to help produce long-standing public affairs show “Almanac” at Twin Cities PBS. Now she works on this here website. Reach her via email at [email protected]. Follow her on Twitter @katecmoritz and on Instagram @yepilikeit. It’s finally happened! You’ve landed the big interview for your dream position. You’ve got the passion and drive to succeed once you’re hired, but how do you stand out from the crowd of other applicants? Supplement that charming smile with some hot facts to impress your interviewer by visiting the James J. Hill Center. Start by checking out an industry profile using IBISworld. 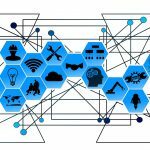 IBISworld reports include sections on supply chain, competitive landscape, and a five year forecast for revenue, growth, and trends at the national level. Link your position within the company to one or all of these topics and explain how you’re ready to be a solution to a company’s present and future challenges. Once you’ve perfected the macro-level view, head to A-to-Z Databases to get a sense of the company’s competition. You can pull a list of companies within a specific industry at the state, metro, or even zip code level. This helps you generate questions for the company, namely how are they different from the rest of the field? A-to-Z Databases partners with Indeed.com so you can also scope out other job postings, just in case. Finally, check through Business Source Premier from EBSCO for recent news stories on your company. Nothing says “I did my homework” than casually referencing an upcoming merger or saying congratulations for a recent award. 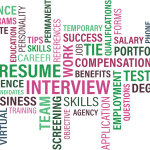 Keen to find out how these resources can take your interview to the next level? Visit jjhill.org to see our collection of databases and research guides to get started. 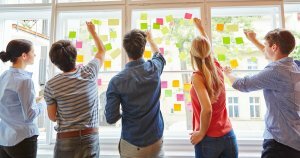 Do you have the next great business idea? Is your small business ready to move into the mainstream? If so, you probably know that business intelligence is key to making an informed decision about the next stage of your career. That means you’ll need to navigate the exciting world of business reference sources! Getting started with your research can feel overwhelming. With so many websites, topics, and techniques to choose from, it can seem like doing research is more trouble than it’s worth. With a little guidance, however, you too can find the key facts to jump-start your business. It’s very tempting to search for the exact fact you want, but looking up “2010 household spending trends” might be counterproductive. By searching so specifically, you might miss a great article on that topic that doesn’t have your key words included. Instead, start with wide-ranging topics like “household income” and “domestic spending trends” to maximize your research results. When searching online or in the databases at the James J. Hill Center, pay attention to the date range on your results. You don’t want to build a pitch deck around an article on real estate trends only to find out it’s from 2002. Give yourself a range of two to five previous years to find the most recent information. Is your search for “trade shows” coming up short? Remember, there’s many different ways to describe what you’re looking for, so brainstorm some alternate search terms. You may hit the jackpot when searching for “convention expositions” instead. Plenty of people are satisfied with a couple online searches, but true entrepreneurs go beyond Google. While some helpful information, such as the Economic Census or labor statistics, are freely available online, subscription databases can elevate your research process. The James J. Hill Center subscribes to a series of databases, such as IBISworld and Business Source Premier, that contain valuable information not available anywhere else. Stop in to use our resources on-site! Remember, research is a long, slow process, but it’s not something you need to handle alone. Make an appointment with a business librarian at the James J. Hill Center and let us connect you to the business information you need. Written by Jessica Huffman, Business Outreach Librarian, at the James J. Hill Center. 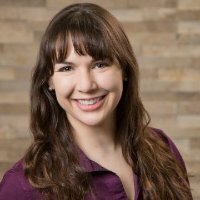 To meet with Jessica about your research needs, make a free appointment here. If you have more questions about the reference library at the James J. Hill Center please contact 651-265-5500 or [email protected]. Chris Carlson is an entrepreneur, actor, lawyer and the founder of NarrativePros dedicated to coaching stronger connections. Chris is setting the standard for the Soft Skills Revolution to unleash your efficiency, effectiveness and maximize your input. Life would be so much easier if everything stayed the same, wouldn’t it? Preparing for that speech or meeting or interview would be a heck of a lot easier if you new exactly what was going to happen, right? We would adapt to the precise moment when the projector would break. We’d jump right on the last-second agenda change. We could prepare for that last question no one would ever expect. Awesome concept, right? Well, not exactly. Quite the opposite, in fact. First of all, the world isn’t like Groundhog’s Day. Something about the second law of thermodynamics and time’s arrow. Change is our only constant. Besides, look how unhappy Bill Murray became. Like it or not, we depend on change. Luckily, that’s a skill that you can develop. One of the highlights of my career has been to work alongside academy award winning actor, Mark Rylance. He has a shelf of awards for his acting, but he’s also a generous director and mentor. In a play he wrote and directed, I played a snowmobile riding, Norse, frost giant. In most plays, the director gives actors blocking and expects them to always follow it. Mark didn’t. Instead, he described the relationship between characters onstage. If a character moved one way, we would react and respond instead of moving in a rehearsed and rigid fashion that was constructed for us. His commitment to chaos was so great that he would also change things he thought were working too well. If he thought something became routine, he would break it up and force us back to reacting to it. This experience gave me a certain comfort in chaos. Through rehearsing in what appeared like chaos I developed an appetite for unpredictability. Because of this method, I actually joined the audience by encountering aspects of the play for the first time every night, together, with them. Befriending chaos through practice is the first step to handling unexpected moments with ease. We can “rehearse spontaneity” with the people we seek to connect with. Instead of hoping that things unfold like we plan, we can plan on unpredictability. We can hold on tightly to the points we want to make. But at the same time, let go of particular thoughts or ideas that hold us back. Think of your “Big Idea” and a few supporting words. Talk through them enough times so that you’re as clear and concise as you can be. Write down what you said. Now re-draft to get the words perfect. Print out your final copy. Place the paper in front of you and turn it over. Talk through your “Big Idea” and supporting thoughts without using any of the words on the paper in front of you. You have just written your own mini-script. Now that you know your steps you can do the dance. Many of my clients do not like the exercise above. It takes work and commitment. What happens though is almost always a delight to them and me. They engage with the change. They find new words to share the ideas and the “idea” is now fresher than ever. I hear them thinking, not talking. The words they wrote disappear, replaced by thoughts and authenticity. Isn’t that what we all want? To be with someone who can conquer change. That’s real. That’s worth listening to? Remember the idea and forget the words. There is power and presence in that concept. When you listen to yourself everyone will hear you. Visit @NarrativePros for more information. Chris Carlson is an entrepreneur, actor, lawyer and the founder of NarrativePros dedicated to coaching stronger connections. Chris is setting the standard for soft skills training across the region and will be sharing his tips and tricks in our monthly blog Soft Skills Revolution. Come each month and learn key steps to unleash your efficiency, effectiveness and maximize your input. We all want the real thing. Nowhere is that more important than in communication. Whether you are in front of an audience or in an interview, the people you are trying to connect with want the real you. The quickest way to lose an audience is being inauthentic, fake or disingenuous. The master communicators are able to bring much, if not all, of their real selves to their audiences. How do they do it? One way is to use feedback to draw and change the lines separating different versions of themselves. This empowers them to bring more of their unique personality to what an audience perceives. They are able to be real. A speaker without an audience is like that tree falling in the forest with no one around. Pretty much nothing. Everything depends on the version of you the audience perceives and leaves with. You can’t just stride up to the podium and say, “Alright, what would you like to talk about?” That’s not going to work too well. You have to bring something to the audience first. The connection between a speaker and audience must begin with the speaker. Audiences pay attention to get a return of interest. When you meet someone one, the most interesting thing you have to offer is yourself. Yes, I am sure you have great ideas, advice and insight. 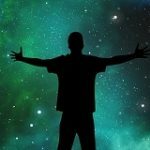 When you are face-to-face with someone those take a back seat to you as a unique human being. Audiences want you to be real, to be yourself. They enjoy being around someone who doesn’t worry about what everyone thinks. That’s the trick, isn’t it? You care a lot about what the audience thinks. So it’s hard to act like you don’t care. Well, let me tell you a little secret: They don’t know you. No one does. Not the “real” you. An audience only ever sees a sliver of the “real” you. An important sliver. There’s enormous power in this. Putting some distance between you and what the audience perceives gives you valuable space. That allows you to use feedback to shift your perspective. That shift is from the “real” you to what you could call the Audience You. Your reflection in a mirror is an accurate representation of what you look like, right? It’s like there’s this other person looking back at you. Meeting that other person can be hard sometimes, but it’s what most people see–for better or for worse. Meeting this other person in the mirror shifts your perspective to the people looking at you. Feedback on performance introduces you to the Audience You. And yet, the reflection in the mirror doesn’t define you. Neither does feedback. This is the critical last step to incorporating feedback: the Audience You doesn’t define real you. If everyone says that you bomb your speech, you haven’t bombed life. That kind of feedback tells you there’s a disconnect between the real you and the Audience You. If you’re going to speak again, work to close that gap. Ask people what they think of the Audience You. Their feedback will shift your perspective. Encourage them to be specific and honest so you can get a good look at this reflection of you. Don’t forget to thank them and put it to work to make the audience you a more accurate reflection of the real you. It will make a difference. Really. If you’ve taken a stab at industry or market research, chances are you’ve come across NAICS and SICs. When used to your advantage, these code systems are handy ways to search across multiple database and search platforms to achieve targeted results. They were created as a way to classify industry areas with the purpose of collecting, analyzing and publishing data relating to the economy. SIC (Standard Industrial Classification) codes have been around since 1937, and appear as a 4 digit number that represent an industry. NAICS (North American Industry Classification System) is a newer system, established in 1997, and will show up as a 6 digit number that will help you find extremely targeted information. NAICS codes were developed to replace SICs, but you can search via both systems in most business databases. Most business databases will allow searches via NAICS and SICs, which is helpful because each database uses its own distinctive terminology and classifies information in a different way. Using your unique industry code will help you cut through the information faster, and saving time is in everyone’s interest. While we love using NAICS and SICs to search quickly, they are not for every situation – like searches that span across multiple industries. 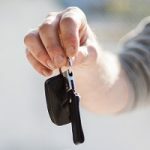 For this situation, the researcher will want to use other factors like company location, size or annual revenue to help narrow down their search. For the DIY business researcher, the simplest way to find your NAICS code is through a web search for your industry name (or description) and “NAICS,” which will generate your code. For a detailed, browsing list, try the US Census Bureau for the official list. Librarians are also available to help navigate through the search process at the Hill, which is a great reason to visit us for an appointment! 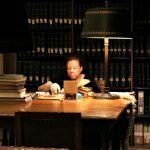 Written by Lindsey Dyer, Director of Library Services, James J. Hill Center. If you have more questions about the reference library our our historic collection at the James J. Hill Center please contact 651-265-5500 or [email protected]. Chris Carlson is an entrepreneur, actor, lawyer and the founder of NarrativePros dedicated to coaching stronger connections. Chris is setting the standard for soft skills training across the region and will be sharing his tips and tricks in our monthly blog Soft Skills Revolution. Come back the first Tuesday of each month and learn key steps to unleash your efficiency, effectiveness and maximize your input. There is so much in the world we have no control of. That’s why it’s always nice for me to remember that the greatest gift I can give myself, and others, is to just… breathe. 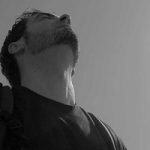 The practice of deep breathing is at the core of connecting with yourself in front of an audience. 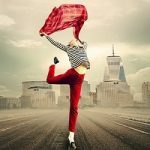 By the end of this post, you’ll be in on the greatest secret of successful performers and yogis alike. By now, most of you know that I’m a speech coach. So it won’t come as a surprise if I trot out the fear of public speaking as a pain point (by the way, the latest poll has public speaking second to snakes). Deep breathing has been shown to help with ALL of these. The primary benefit of deep breathing is its calming effect on the body. People from cultures all over the world have practiced deep breathing for a millennia. How this works is only recently becoming clear to scientists according to an article in New York Times on Why Deep Breathing May Keep Us Calm. Isn’t it nice when science recognizing the benefit of something we’ve been doing all along? The point is: breathing from your diaphragm calms your body down. And a calm body calms your mind. The key to deep breathing lies in understanding how we breathe. When I give workshops, I often ask everyone to take a deep breath in. I watch as chests heave and shoulders go up. Many people assume since air goes into our lungs, that’s also what drives breathe. Close, but no cigar. The diaphragm is a parachute-shaped muscle that sits under your lungs. That’s the muscle chiefly responsible for drawing in your breathe. Despite what my workshop attendees show me, it’s not the muscles around your chest. The crazy thing is, you already “know” this. Everyone of us breathes quite efficiently when we don’t think about it. Watch someone who is extremely relaxed and you’ll see their belly move up and down more than their chest. That’s because the diaphragm is contracting to pull in breath. The stomach and surrounding muscles get out of the way and expand outward. This is another reason most people don’t breath efficiently–people are vain. They are concerned about keeping their bellies tucked in. Deep breathing does two important things for speakers. First, it calms them. Everyone gets nervous to some degree. Deep breathing stems the fight or flight reaction we get when we step in front of a crowd. Second, deep breathing strengthens and supports a speaker’s voice. With adequate breath, a speaker can speak longer, louder and with greater range. You don’t have to be a performer or singer to benefit from more volume or a fuller voice. Whether you’re a speaker or a stressed-out blog reader, you can start deep breathing now. There is nothing fancy or complicated about deep breathing. The process begins with an awareness of your breath. Since you’re doing this, I will assume you are not familiar with deep breathing technique. This means that, probably, you felt your chest move as much or more than your stomach. Here’s a cool trick I just found out while writing this: Google “deep breathing”. You should get a one-minute guided breathing exercise. I shouldn’t be too surprised since I read that Google teaches breathing to its employees. I used to have a hard time finding my keys. Then I bought this little plastic disk that my phone can make beep. They’re usually sitting right on the counter, hidden in plain sight. 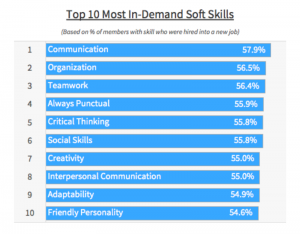 A recent survey of 2.6 million employers reported that 59% have difficulty finding candidates who are proficient in “soft skills.” I believe that soft skilled people are really not that hard to find. They just need to tag their skills with the equivalent of that beeping disk. Making your own soft skill set “beep” out begins with understanding why they’re “soft”, what are the skills and the value to employers. 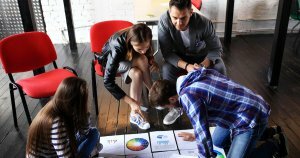 Among the most sought-after soft skills are the “4 Cs”: Critical Thinking, Communication, Collaboration and Creativity. From the beginning soft skills have been associated with misunderstanding. One of the biggest insights to soft skills is how little we know about them and ourselves. Studies like Sage Journals “Perceived Versus Actual Transparency of Goals in Negotiation” have shown how we believe others see us and what they actually perceive are statistically unrelated. The only accurate way to gauge how you’re being perceived is to ask someone else. He then goes on to list nearly 100 different skill sets in five categories that make up his first draft of real skills. Godin’s argument carries significant weight when you consider how reliant the economy is on soft skills. 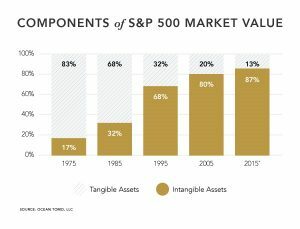 Three decades ago 83% of the value of an S&P 500 company was in its tangible assets—real estate, equipment, inventory. 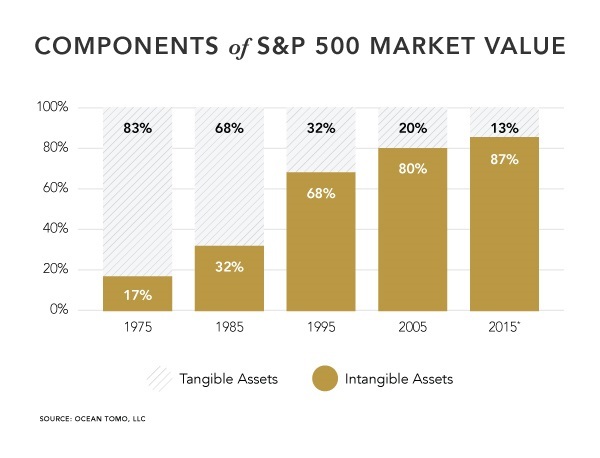 Today 87% of the value is in intangible assets—ideas, brand, or stories. Companies that had paid workers to build value with their labor now pay them to create with their minds. The majority of companies’ value can no longer be delivered by trucks. Instead, the majority of worth is created, transmitted and maintained through soft skill mastery. Developing mastery is also hiding in plain sight. The process is the same one practiced by athletes, artists and entrepreneurs. More on that later. I have to find my phone.